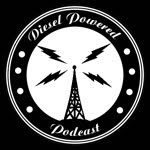 How could I pass up Halloween weekend without a post on Dieselpunk horror? 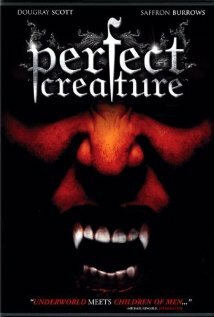 In this case the 2006 vampire movie: The Perfect Creature. In the alternate world of the movie, 300 years before the events of the story genetic experimentation had caused some male children to begin being born as vampires with enhanced senses along with improved strength, agility, reflexes and an extended lifespan. More importantly, it was found that their blood would cure the sick and injured. Because of these abilities they were considered a blessing by God and hence considered more perfect beings. A priesthood of vampires known as the Brotherhood was formed whose stated mission was to serve and guide humanity. When a vampire child was born it was to be taken from its mother to be raised as a Brother in the vampire religious order. Rather than feasting on the blood of victims, as in the usual vampire story, the Brothers are supplied with donations of blood by believers. The storyline of the movie is a mystery that starts with a series of attacks on women in a city slum. The lead detective is Lilly Squires (played by Saffron Burrows) who discovers that the murders were being committed by a vampire Brother. In response, the Brotherhood assigns Brother Silas (Dougray Scott) to work with the human police and to catch the vampire mass murderer named Brother Edger (Leo Gregory) before he could strike again. The police along with the Brotherhood fearing a backlash against the vampires cover up the fact that the murderer was a Brother and publicly blame it on human psychopath. Perfect Creature is a great example of Dieselpunk horror in how the alternate universe mixes Diesel Era elements with the contemporary. Early in the movie the Dieselpunk theme is made obvious as the audience is treated with a spectacular view of a massive zeppelin flying across the city at night as several more hover nearby. 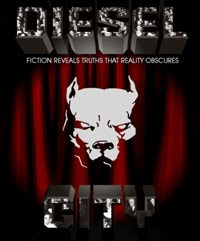 Throughout the movie there is a creative blending of modern technology and fashion with that of the Diesel Era. Along with this blending, society in the Perfect Creature universe seems modern in many ways. In one scene a criminal attempts to claim a right to an attorney and there’s an apparent equality for women as represented by the lead detective, Lilly Squires. I have to admit the movie isn’t without flaws. Though the storyline is intriguing and the cinematography is well done, I found Dougray Scott as Brother Silas to be rather flat though one must wonder if that was the result of the actor or the product of poor direction. In contrast, the other actors, such as Saffron Burrows, Leo Gregory and Scott Wills, provide great performances. My negative comments about Scott shouldn’t be taken as intent to discourage the reader from watching Perfect Creature. I highly recommend it because I found it to be very entertaining and original for vampire movies. It deserves to be a part of any Dieselpunk DVD collection. Thanks Larry for letting me know about this movie that has not been on theatres nor in Dvd in France. I don't know how, but i'm going to try to get it as i can. You're welcome. I hope you enjoy the movie. Thanks for the suggestion! Even though Halloween's over it's never too late for a decent horror flick.